Adapted from and courtesy of the Grand Lodge of Washington F. & A.M.
On behalf of the Grand Lodge of Free & Accepted Masons of Washington, thank you for your interest in Masonry. Becoming a Mason is a serious and, potentially, life changing decision. It is not one you should take lightly and will require substantial commitment on your part. However, the rewards of being a Mason can be significant. This is not measured in material wealth, for the Lodge doesn’t offer business opportunities or other material gain, but a system of continual improvement, community involvement, self-discovery and comradery with like-minded men. This article will walk you through the steps all men should take before requesting to become a Freemason. Historically, men became Freemasons through family or close friends who belonged to the Lodge. This connection ensured that members of good standing in the Lodge knew the character and background of the potential candidate for membership. However, today most men approach Masonry through casual connections (Internet, calling the Lodge, etc.) after their interest has been kindled by reading books and/or seeing videos about the Lodge. Because of this, the Grand Lodge of Washington has developed this plan of six steps that will allow you to know if the Lodge if right for you, and for the Lodge to know if you are a good candidate to potentially be raised to the highest degree in Craft Masonry: Master Mason. The first step is a short discussion with a Lodge member regarding Freemasonry. Questions may include: Why are you considering becoming a Freemason? Do you know any friends or family members who are or have been Masons? What do you know about Freemasonry? This discussion can be in person or over the telephone. Since you are reading this article, there’s a good chance you have already completed step one as a questionnaire should have been given to you or you should have been directed to download it to fill out. However, if you happened to obtain this article in another manner – friend, download, etc. – and have continued interest after reviewing its contents, please contact your local Lodge to set a time for a telephone call or meeting. 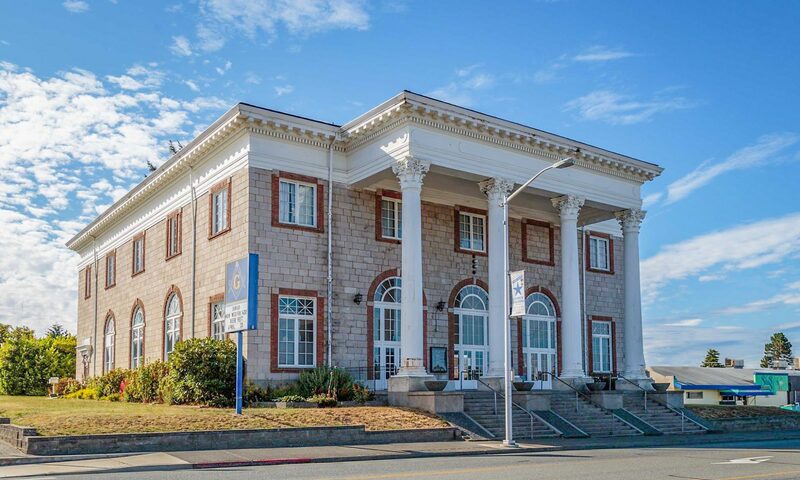 Lodges can be found at www.freemason-wa.org/lodge/ where you can search for the contact information of the local Lodge in your city or town. What is the financial and time commitment needed to be a Mason? Are there any activities for my wife and/or children? What do Masons do at their meetings and activities? What do Masons believe and why is Masonry important? During this meeting you will also be asked to read and answer a short survey regarding the Lodge and your motivations and desires for becoming a Freemason. Your honest answers and careful consideration of each question will help determine if proceeding further is the best course for you and the Lodge. At this point, if you haven’t already done so, you can, if you wish, read one or more of the hundreds of books and/or websites available on Freemasonry to increase your understanding. A word of caution: there are a number of “theories,” in popular media regarding Freemasonry. Some of these are conjecture based on different levels of evidence and others are just plain wrong. While the Lodge takes no official stance on different author’s writings, we recommend reading with a critical eye and asking questions during this process if you do not understand something or have concerns. A recommended book that is simple and straightforward on the different aspects of Freemasonry is Freemasons for Dummies by Christopher Hodapp. It’s also recommended that you review the Washington Grand Lodge web site at www.freemason-wa.org and your local Lodge website (if they have one). This will be the last meeting that will be set by the Lodge. While the Lodge will do its best to inform you, and all good men, of our Craft, we do not recruit new members. All men must decide if a life in Freemasonry is for them by their own free will and accord. Unfortunately, too many good men have said, “I would have joined but no one asked me,” not understanding that we will not ask you to join. Moving forward is now at your own initiative but this is not meant to be inhospitable or rude on our part but as a way to ensure it’s your true desire. As stated above, you will need to set this meeting with your Lodge contact. The physical layout of a Lodge room and why. The aprons, collars and other regalia Freemasons wear. Titles and offices in the Lodge. The three levels of Craft Masonry: Entered Apprentice, Fellow Craft and Master Mason. What the process of becoming a Master Mason entails. Dress code for different events. Because you have actively shown interest by initiating this meeting, you will now be asked to actively engage in one of the activities Masons regularly perform. Should you progress to enter the Lodge, there will be ritual you must memorize as you move through the different degrees. So you can get a small “taste” of this part of Masonry, you will be asked to memorize a short passage of Masonic work used during our public ritual presentations. This will need to be recited at the next meeting along with your interpretation of its meaning. The first three steps of this process have been focused on your understanding of the Lodge and giving you insights to what a life in Freemasonry is all about. We want to ensure you feel comfortable at every point in your decision to move forward or not. Now, step four is about getting to know you on a personal level and you to know members of the Lodge. This step is less about Freemasonry as an institution and more about the interests and personalities of the local Lodge members. Every Lodge is different and these differences largely depend on the active members of the Lodge. For you to be happy and fulfilled as a Mason, it’s important that you not only agree with and subscribe to the principles of Freemasonry, but also that you have a genuine affinity for many of the members of your local Lodge. The meeting may be at a regular Lodge dinner, a special event open to the public or may simply be some members who go out for coffee or a drink. It may be for you alone, you and your wife or the entire family. The key is to get to know everyone and for them to get to know you. Other than socializing and getting to know the members, your only other obligation is to recite the memory work given at the last meeting and have a discussion with some of the members about its meaning. You are welcome to attend as many or few social events as you would like. In fact, since you are making a lifetime decision if you move forward, there’s no hurry. Over the year, Lodges typically have summer picnics, outings, dinners and other activities you can participate in. Ask the one of the Lodge officers for a schedule or a way to keep up with activities through a website or being included on an email list. If you live in an area with more than one Lodge, feel free to ask about their activities and you are encouraged to attend them as well. Your goal should be to find the place where you feel the most comfortable. After you have attended at least 3 social events, it is up to you when or if you ask for a petition for membership and to which Lodge (if you have attended more than one). No one should ask you if you want one. If, for some reason, they do ask, “I’ll let you know when I’m ready for one,” is a completely acceptable response and would cause no negative perception of you. Once you have asked for, read and completed a petition, three members of the Lodge must sign the petition as your sponsors. The signed and completed petition, along with the required fee, is then given to the Secretary of the Lodge. The following steps are taken by the Lodge and may take a few months to complete. During this period, you are welcome to continue attending public social events. Your petition is read in open Lodge for all members and visiting Masons to hear. An examination committee of three members will be appointed. They will need to interview you and your family. A background check may be requested (depending on Lodge policy) as part of the examination committee due diligence. Upon completion of interviews and other processes, the examination committee will make their report and recommendations to the members of the Lodge at a stated meeting. The members of the Lodge then vote on your acceptance into the Lodge. The ballot must be unanimous for admission. If favorable, you will receive a letter from the Lodge Secretary asking you to attend on a specific date to be initiated into Freemasonry.